We are increasingly engrossed in offering Post Weld Heat Treatment services to our clients. Delivered in tune with the norms defined by the industry, these services are enormously in demand. Due to their cost effectiveness, these provided services are hugely treasured. With thorough understanding of this business industry, we are engrossed in providing PWHT / Pre And Post Weld Heat Treatment Service to our clients. Due to personnel dedication and knowledge helps us to meet the detailed needs of the clients within the given period of time. We have adroit employees, who offer these services in agreement with the defined guidelines. After a long spell of time Aerotech Heating Systems having high velocity Burner and we introducing a revolutionary concept in the post weld heat treatment field. It is gained a rapid acceptance with fabricators and all end users everywhere. 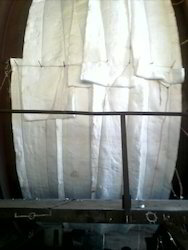 Our method consists fundamentally the turning rhythm of the insulated Shell Assembly in to its own furnace. 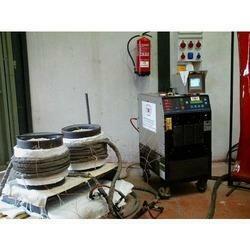 Owing to the rich industry experience, we are able to render Post Weld Heat Treatment Service. Our firm is highly recognized as one of the best organizations, engaged in offering Post Weld Heat Treatment Services to our clients. - Post weld heat treatment (PWHT) to improve weld microstructure and reduce residual stresses developed during welding. We introduce ourselves as specialist in the field of various type of Heat Treatment Services. We hold expertise in offering Post Welding Services in Situ Thermal Cycling Services. Known to offer relief from stress, these are used for laboratory purposes. Our professionals use international standard methods for various tests, within its scope of accreditation. Moreover, our laboratory works in close interaction with the customers & ensures confidentiality. To let consumers rely on us, we are offering satisfactory Preheating and Post Heating Services. Professionals ensure that damage is not caused to the implement devices and surfaces and work is completed in lesser time. We are considered as a reputed firm, we are engaged in offering high quality Post Weld Heat Treatment Service. - Offered heat treatment service is flawlessly executed with the help of advanced technology in tandem with the set quality norms. Post weld heat treatment (PWHT), defined as any heat treatment after welding is often used to improve the properties of a weld ment. In concept, PWHT can encompass many different potential treatments; however, in steel fabrication, the two most common procedures used are post heating and stress relieving. - PWHT – Post weld Heat Treatment. Post Weld Heat Treatment (PWHT) or stress relieving is required to relieve the detrimental effect of high temperature or severe temperature gradients during welding, and to relieve residual stresses created by bending or forming (cold work).